Denver star Nikola Jokić will also represent the Nuggets as he competes in the Taco Bell Skills Challenge during the All-Star weekend. Nuggets' coach Michael Malone is heading to the All-Star Game on Feb. 17, where he'll coach the team picked by Lakers star LeBron James. Nikola Jokić will join his coach in Charlotte as a reserve player, marking as his first time and the Nuggets' first All-Star since Carmelo Anthony. Jokić is also set to compete in the Taco Bell Skills Challenge, a three-round, obstacle course competition that tests all skills, like dribbling, passing, agility, and three-point shooting. Malone said in a statement, "Obviously any time you can be a part of the All-Star weekend, that's an honor not only for yourself but for your entire coaching staff and for your organization." And his players were proud, too, dousing the coach with water after their game against the Minnesota Timberwolves on Saturday, Feb. 2, when the announcement was made. 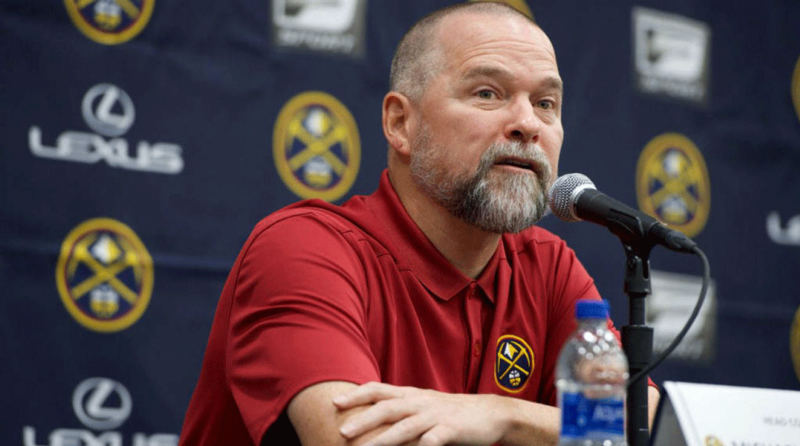 Malone is the third coach in Denver Nuggets history to coach in an All-Star Game -- Larry Brown (1977) and George Karl (2010). All-Star Weekend will be held this weekend, Feb. 15-17, in Charlotte. What do you think? Will you be watching the All-Star Game and cheering on Malone and Jokić? Share your thoughts with us in the comments below. The Avs will host the L.A. Kings in 2020 in NHL Stadium Series!